Experience the Airstream + Mercedes-Benz partnership perfectly executed in the Airstream Interstate line of RV touring coaches available at Schumacher European in Phoenix. Each model is equipped with a Mercedes-Benz® 3.0L V6 turbo diesel engine, 2-burner cooktop, microwave, and fridge. 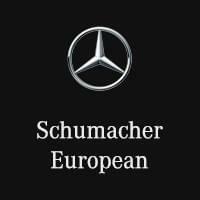 Find out more about the lineup below and then contact us to find an Airstream for sale at Schumacher European! Get ready for your next road trip or camping trip in a classic silver camper Airstream model, tune up your Mercedes-Benz interior at our service center, and buy or lease at Schumacher European near Mesa and Fountain Hills.